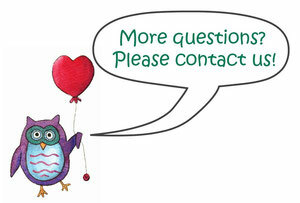 Shipping and Info - Leafy Dreams Nursery Decals, Removable Kids Wall Decals-Stickers SALE NOW ON! Note prices on this website are all displayed in Australian Dollars. Please visit www.xe.com/ucc for currency conversions. Delivery within Australia will be made via standard Australia Post Air Mail or a courier service. Deliveries overseas will be via Registered Australia Post Air Mail (includes tracking) or a courier service. Please note that we do not accept PO Boxes for delivery. 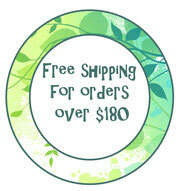 Free shipping is offered for orders that are above $180. * Some very remote areas of Australia may attract an extra charge. ** Shipping of some of our extra large wall decals will attract an extra charge, as they will need to be delivered by a courier ($20 total). The maximum shipping you will pay for multiple items is $25 within Australia and $45 to New Zealand. Please note that custom taxes/fees may apply in your country and this is the responsibility of the customer. Unlike many other wall decal stores the majority of our products are in stock in Australia. Orders will be dispatched within 1-5 days after payment is received (unless otherwise indicated). You will be notified by email once your order is dispatched. Please allow up to approximately 7 business days from the date of dispatch for delivery within metropolitan areas in Australia and up to 14 days for rural areas and deliveries overseas. Please note that very occasionally we do temporarily sell out of an item and so there may be a 3-4 week wait for that item. If this is the case, it will be clearly stated in the item description and during the checkout process. For orders of multiple products, the shipping will occur together once all items are ready to ship. Do you offer Express Post or Registered Post? If you wish your goods to be delivered via Express or Registered Post please contact us before placing an order and we will be happy to arrange this for you. Additional charges may apply. Please note that stated shipping costs to New Zealand already include Registered Post. We accept all major credit and debit cards. Online payments are securely processed via PayPal although you do not need to have a PayPal account to order online. Alternatively, you can choose to pay via bank transfer. To do this just choose Advance Payment during checkout and our banking details will be emailed to you with your order confirmation. Every effort is made to despatch all goods in perfect order, however, if faulty or damaged goods are received please contact us within 5 business days and return the goods with labels and packaging. We will replace faulty or damaged items on approval of fault. Please note that we are unable to provide a refund if you simply change your mind. What surfaces can I stick my wall decal to? Wall decals can be stuck on to most smooth, clean surfaces such as walls, mirrors, windows, fridges, plastic surfaces and doors. We do not advise the use of our decals on extremely textured walls as there may not be enough surface area for the adhesive to work sufficiently. Make sure your walls are clean, dry and in good condition before applying your wall decal. If you have recently painted we recommend you allow the wall to dry for six weeks before applying the wall decal. It is not recommended to apply wall decals to old painted surfaces with loose, flaking paint. Please note that some wash and wear style paints may repel the adhesive of wall stickers so if you are painting in preparation for a wall decal, we recommend avoiding this style of paint. It is highly recommended to apply the provided test sticker and leave it for a minimum of 3-4 days to ensure your surface is compatible, before applying the entire decal. Fabric and vinyl wall decals are applied slightly differently. With fabric wall decals you simply peel the wall decal off the backing sheet and stick it to the wall. Vinyl wall decals come on a clear transfer sticker which you stick to the wall and then remove, leaving the wall decal behind. All of our wall decals are simple to apply and come with instructions. All of our wall decals will last several years on your walls, depending on their environment. Can I remove my wall decal? Yes! All of our wall decals are removable but only the fabric wall decals can be repositioned or reused (as many times as you like). Fabric wall decals are ideal for people who may move house or who are renting and also people who like to change their mind or rooms around! Just reapply your fabric wall decal to the backing paper that it came on and transport it in a tube to wherever you are going! If you have thrown away the backing paper you can use baking paper instead. How do I remove the wall decals? Fabric wall decals have a low-tac adhesive and generally peel off very easily. They are reusable as many times as you like. Vinyl wall decals are removable but are not reusable and hence, they have a stronger adhesive. If you have prepared your walls as recommended you should not have a problem removing any wall decals. Slowly peel the wall decal back on itself to remove it from the wall. Take your time and do not pull it straight out as you may risk pulling paint off the wall. If you are finding it difficult to peel a wall decal off the wall, heating the edge of the decal with a hairdryer can help to warm up the adhesive. 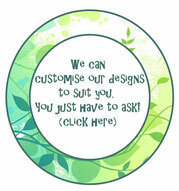 We offer both fabric and vinyl wall decals. Fabric wall decals are made from finely woven, premium polyester fabric specifically designed for wall graphics. They are eco-friendly, made from non-toxic materials and can be reused as many times as you like. Vinyl wall decals are made from top quality vinyl made in Germany and Belgium. Vinyl wall decals are super thin and when applied create a hand-painted look to the wall. They are extremely durable, washable and are removable but are not reusable. Will the product look exactly the same as the one I saw on your website? While we take great care to represent the products in the truest way possible, please be aware that due to different colour settings on customers' computers and mobile devices, slight variations may occur between a seen design and the actual product. In ordering an item, you accept the risk of such differences. Of course we are happy to assist you should you need any further clarification. Do you offer gift vouchers for your online store? Yes we do. If you would like a gift voucher for our store we can arrange this for you. Please submit the form on our Gift Voucher page. Simply browse our online store and add items to your cart. Enter your voucher code at checkout and you will be asked for payment if there is an outstanding amount.